Analysts had lackluster outlooks on most carmakers’ full-year goals, but Chrysler, GM, and Volkswagen announced they are on track despite economic headwinds. The three companies did especially well in the United States, but are still feeling the effects of Europe’s economic slump. Chrysler Group LLC reported an increase in net profit to $464 million Wednesday, up 22 percent from last year’s $381 million. Worldwide sales were up 8 percent for Chrysler, boosted by a 16 percent increase in US retail sales. 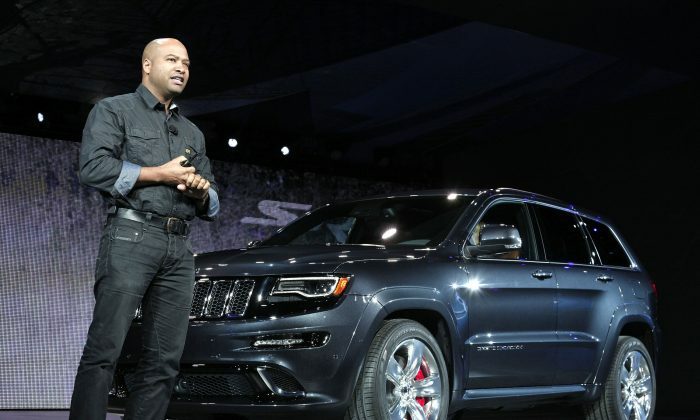 “Chrysler Group’s ninth consecutive quarter of positive net income highlights our commitment to producing award-winning vehicles for consumers, such as the Jeep Grand Cherokee and the Ram 1500,” stated Chairman and CEO Sergio Marchionne. Buyers are also paying more for their cars according to a Kelley Blue Book estimates. The Ram and Cherokee have been wildly popular. US Ram sales rose 23 percent from last year and buyers are paying 5.3 percent more at an average of $36,724. Cherokee sales rose 30 percent, with buyers paying 9 percent more from last year at an average of $40,175. A redesigned model of the Cherokee just hit the dealers last week. However, profits for the third quarter were limited by “higher industrial and launch-related costs and vehicle content enhancements,” Chrysler said, but are still on track for the year. Analysts had expected the company to lower its forecast. General Motor Co., the world’s second largest carmaker behind Toyota also beat expectations netting $700 million in profit. However, special items like Venezuela’s currency devaluation lowered net income by 53 percent compared to the same quarter last year. “We made gains in the third quarter as we improved our North American margins and increased our global share on the strength of our Chevrolet brand,” stated Dan Akerson, GM chairman and CEO. GM’s operating profit in North America increased 28 percent to $2.2 billion, also helped by higher vehicle prices and a number of redesigned cars. GM’s average price per truck sold is up about $3,000 from last year, according to Bloomberg Businessweek. In Europe, where GM lost money for 13 consecutive years, the company is cutting losses. The company reduced losses to $214 million, lower than the $267.7 million analysts expected and less than half of last year’s $487 million. “The story in Europe overall is really consistent with the plan we laid out,” Ammann said at a press conference and noted the company wants to break even in the next year or two. Germany’s Volkswagen AG, the world’s third largest automaker, is facing stiff headwinds in Europe as well. Nonetheless, it reported a 3.6 increase in unit sales to 2.38 million worldwide, mostly propelled by the United States and China. “Cash-flow was significantly better than I expected,” analyst Daniel Schwarz told Bloomberg Businessweek. Earnings before interest and taxes rose 20 percent to $3.82 billion, beating analysts’ $3.75 billion estimate.